Jeff Fuller Designs is synonymous with good landscaping. Our landscapes are pristine, accenting the natural topography of the land, the surrounding building(s), and the character of the property. Whether you’re building a new landscape from scratch or changing your current landscape, we can help. Get in touch with us to get started! With each of our landscaping designs, we consider aesthetics, functionality, irrigation, and proper lighting for the plants we install. Good landscape design blends organized and organic forms seamlessly. When we begin a landscaping design project, we’ll work with you to determine the aesthetic that you’d like for your property. 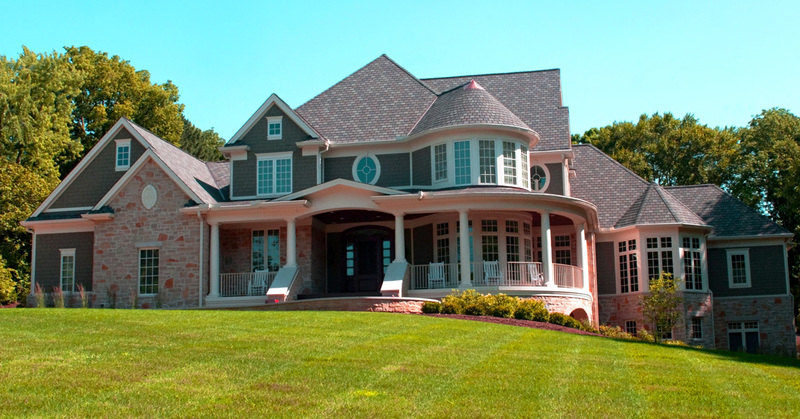 We strive to coordinate our landscaping with the architecture on the property and the elements around the property. If, for instance, you have a modern home, we may recommend that you match that modernity in your landscape by planting bushes that can be shaped and pruned. Or, if you have a classic brick home, we might accent the warmth of the red brick of your abode by contrasting it with bright green trees. 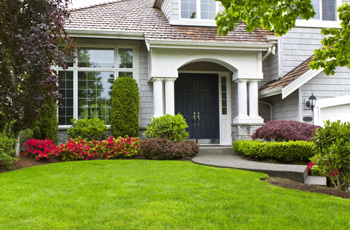 The aesthetics of your landscape design is of utmost importance. The function of your landscaping may be equally as important as the aesthetic that it provides. If you need us to install a timber staircase that slowly cascades down the slope of your back yard, we can do it. Or maybe you’d like to have a tree installed that will grow large enough to support a tire swing for your newborn… and a tree fort for the grandchildren that are sure to come down the road. Need an outdoor fireplace to entertain and impress guests? We can design and build that too. What about landscape lighting? Yup. We can integrate lighting into your landscape as well. Irrigation is crucial for the beauty and liveliness of a landscape. We’ll ensure that your landscape design integrates irrigation planning. Proper irrigation will keep your lawn lush. It will keep your trees growing strong; and it will make your perennials and annuals blossom. When we take irrigation into consideration, we’ll map out zones that are ideal for maintaining the water pressure that your plants need. Plants need sunlight! And patios should have shade. We’ll take the path of the sun into account, so that your plants are thriving, and your head stays covered in the hottest months of the year. We want to make sure that you don’t have any plants that are competing for sunlight. On the other hand, there are certain plants that thrive in the shade. We’ll make sure that each plant is in the optimum location to ensure its survival. Here at Jeff Fuller, we provide all-inclusive landscaping services. That means that we can see your project through from start to finish. You’ll work directly with the team that will be installing the landscaping. That ensures that you have complete control of your project. It also means that we can provide the best customer service – again, from start to finish.